Barcelona is one of the most touristic cities in Europe. 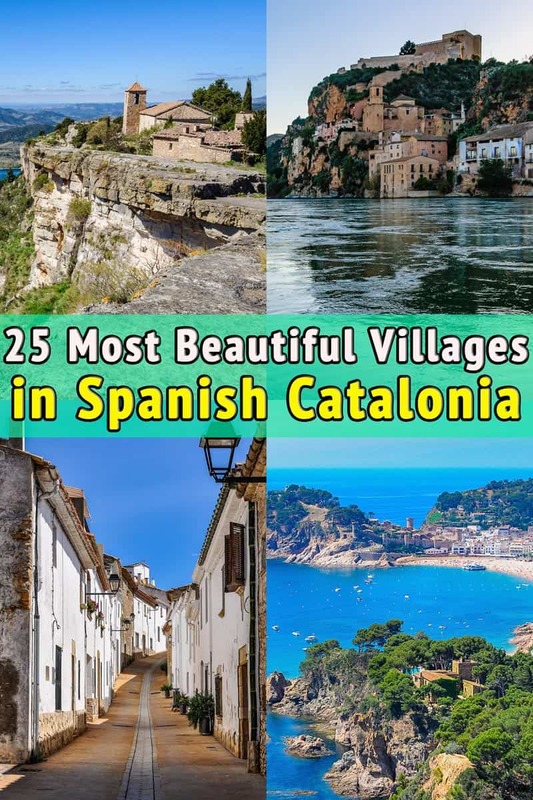 Nevertheless, nowadays more and more travellers realize that Catalonia is much more than its capital, and people seem to get interested in visiting some of the nice villages close to Barcelona. 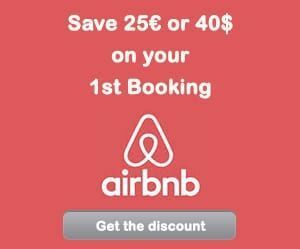 We have lived in Barcelona for more than a decade now, and we love traveling in this area exploring the medieval villages of Catalonia on a day trip from Barcelona. Even after many years, we still get to discover charming villages near Barcelona. Medieval villages, small coastal settlements, mountain villages are included in our selection of the 25 most beautiful villages in Catalonia. Today we will take you on a trip around the picturesque villages and small towns in this beautiful region of Spain, starting from the farthest examples in the region and ending our trip in those villages, which are really close to Barcelona. 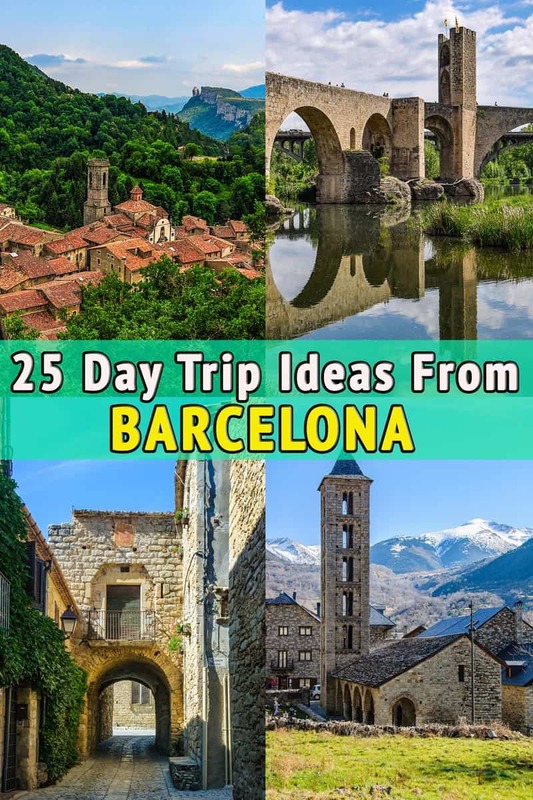 25 Great plans for a day trip from Barcelona is waiting for you here. Will you come with us? 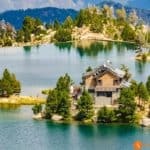 How to get there by public transport: you can get to Vielha, the capital of Vall d’Aran region in a bus run by the ALSA bus company, but from there you can only get to Montgarri using private transport. 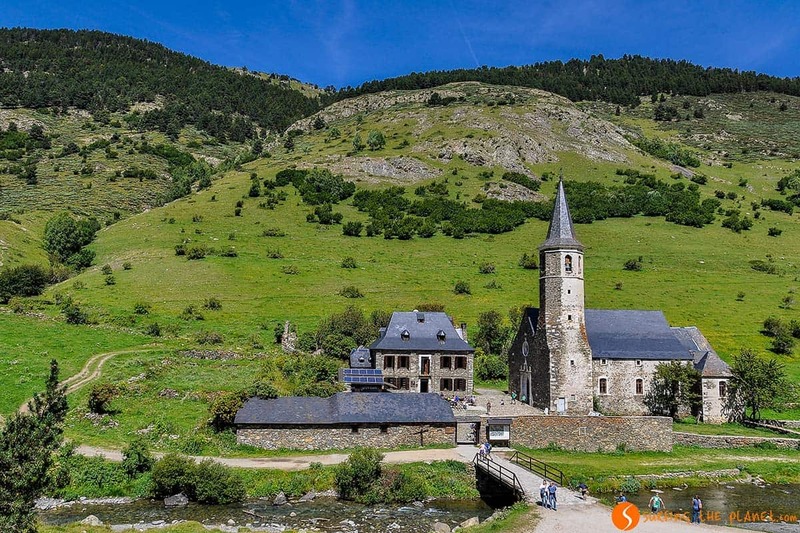 We start our trip in the Aran Valley (Vall d’Aran), one of the most picture-perfect part of the Pyrenees mountain chain. Here, you will find Montgarri, one of the most peculiar villages in Catalonia. It’s an abandoned village with the Montgarri Sanctuary (Santuario de Montgarri) being the only building that was conserved from the 16th century. The rest of the village contains only houses in ruins, where inhabitants lived till the end of the 1960s when Montgarri was abandoned due to the really harsh conditions life supposes there. This village, in the absence of a decent asphalt road, was cut from the rest of the civilization quite often during the heavy snow storms in winter. The sanctuary and the mountains form a precious site that looks like a still life painting. When you arrive in Taüll or any of the medieval villages situated in the Boí Valley (Valle de Boí), you will feel that you traveled back a few centuries in time. 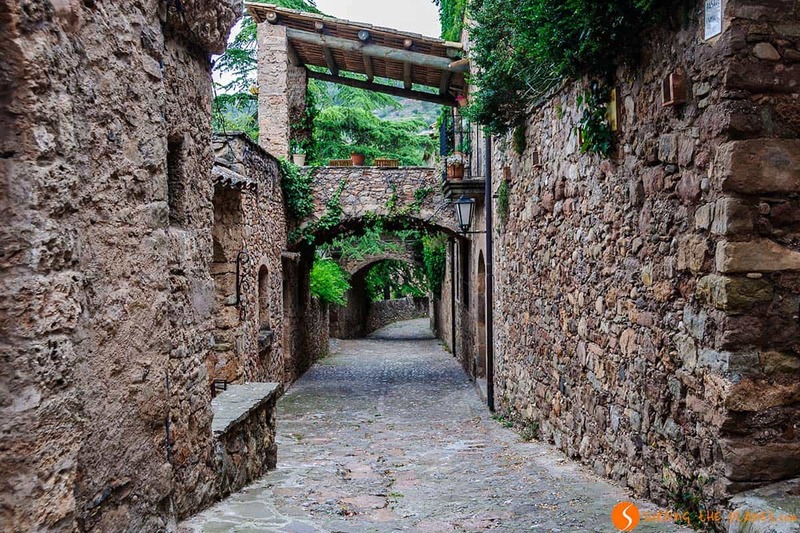 These beautiful medieval villages are not situated so close to Barcelona, but it’s worth visiting them on a day trip from Barcelona. 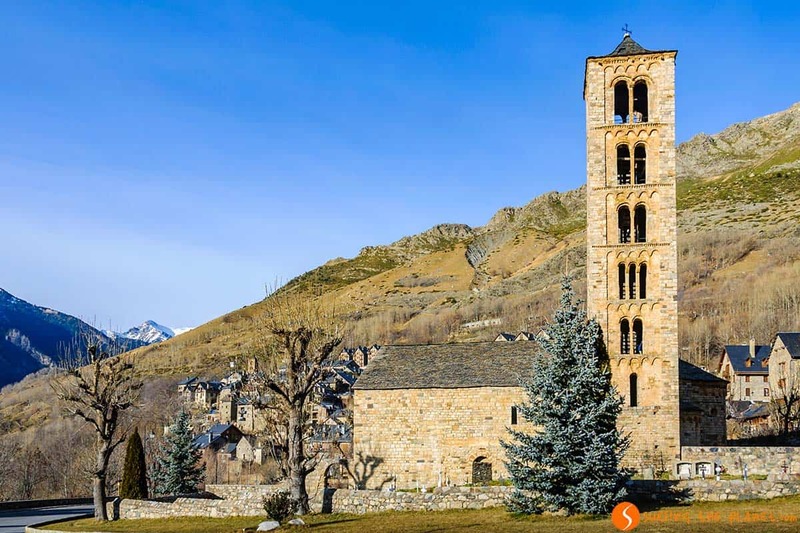 The group of Romanesque churches situated in this picturesque valley of the Pyrenees has been declared a UNESCO World Heritage Site. 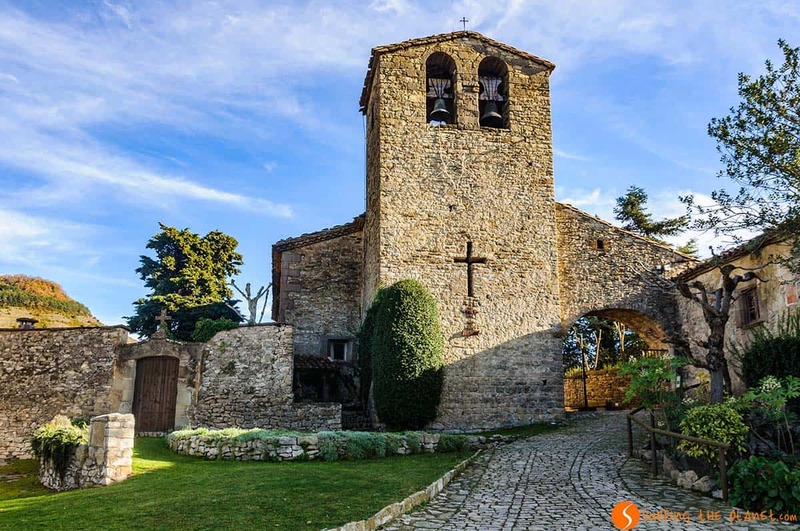 The most famous church is Sant Climent de Taüll where you can watch the projection of the Christ in Majesty (the Pantocrator), the most emblematic art piece of the Catalan Romanesque Period. 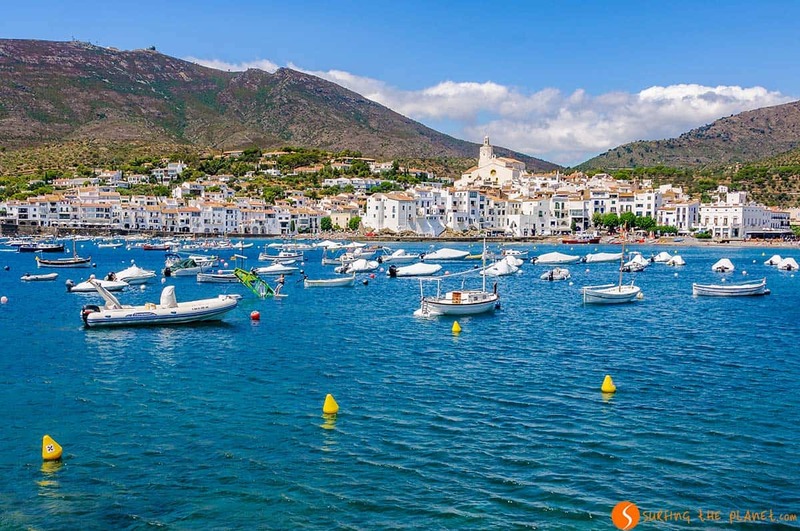 Cadaqués can’t be left out of any lists considering the most beautiful villages in Catalonia. This picturesque village on the Costa Brava with its white houses and small fishing boats has inspired many artists. It’s one of the most visited places in Catalonia, especially in summer, when the secluded beaches in the area invite you to take a bath. Apart from walking in the narrow streets of Cadaqués, it’s also worth visiting the house of Salvador Dalí in Portlligat and doing an excursion to the Cap de Creus Lighthouse, where you will feel being at the end of the world. Miravet is located on the banks of the Ebro River, and it’s probably one of the most photographed places in Catalonia. The castle from the 12th century on the hilltop presides the old town with steep medieval streets that take you the Old Church on the highest point of the village. The reflection of the village and the castle in the river is a memorable image for all those who get to contemplate it once. We advise you to stand on the riverside at sunset to see the sun go down behind the hill. The views are also fascinating from the castle. 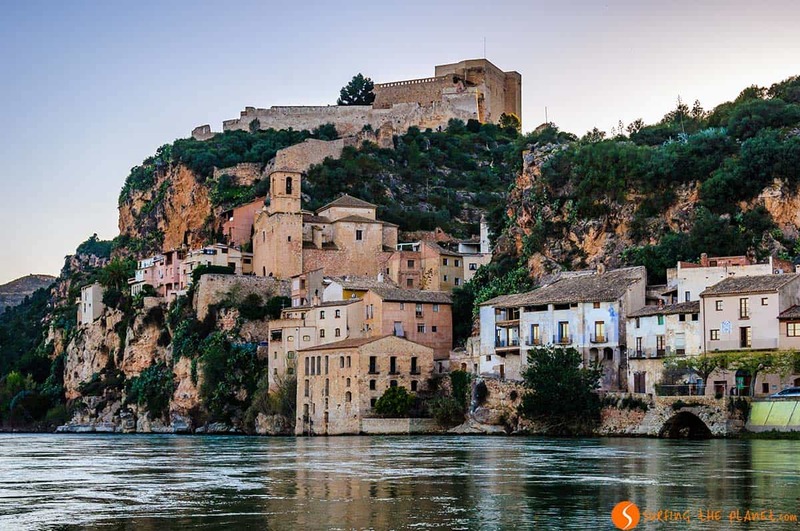 Settled on a picturesque hill, the village of Tivissa in the Ribera del Ebro is another charming village in Catalonia that only few travellers know. Apart from the impressive views of the village from the road, it’s also worth taking a stroll in the historical part that will take you to a nice square on the hilltop. Here stands the majestic Santiago Church that combines different architectural styles. Another village far from the typical tourist itineraries is Beget, one of the nicest medieval towns in Catalonia. You will have to follow a road with many curves to get to Beget. 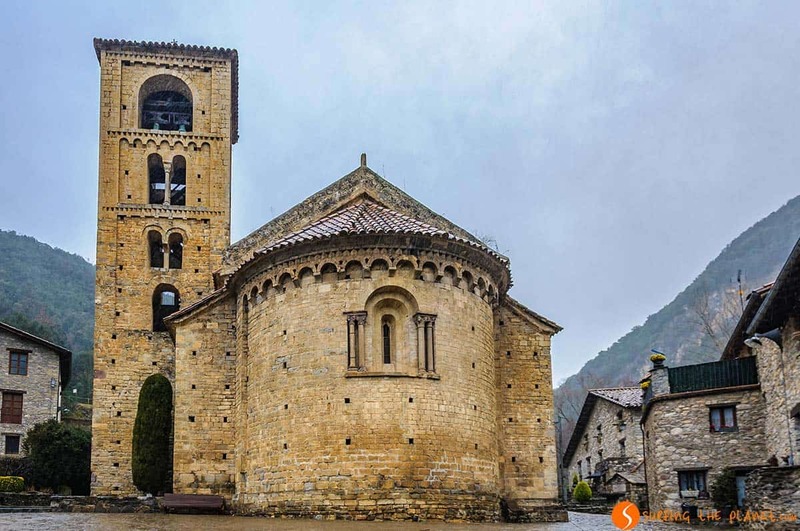 After getting there, you will be instantly amazed by the majestic Romanesque church of Saint Cristopher (Sant Cristòfor) located at the main square. It’s a very small village that can be explored in less than half an hour, but the charming cobbled streets and the clean mountain air will make you want to stay for more time. 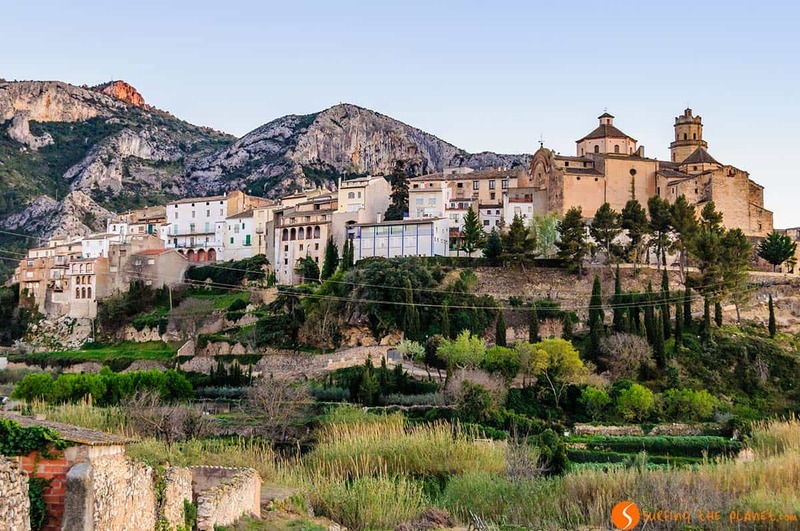 Another mountain village with a lot of charm in the Province of Tarragona is Prades, known as the Red Villa because of the reddish color of the stone that was used in the construction of many buildings in town. The main square (Plaza Mayor) is precious with its porticoes, the gothic Santa Maria Church and the Renaissance fountain you find there. You can’t really wish for a more pleasant plan for a Sunday afternoon than sitting at one of the restaurant terraces to contemplate how life goes on in this calm village. 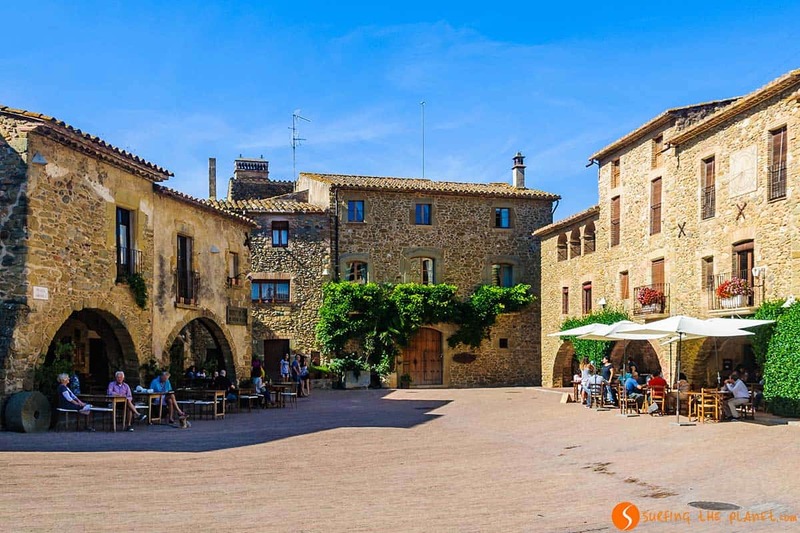 Another fantastic hilltop village situated on top a giant rock is Siurana (or Siurana de Prades, not to confuse it with another village called Siurana in Northern Catalonia), which is one of the most photographed villages near Barcelona. 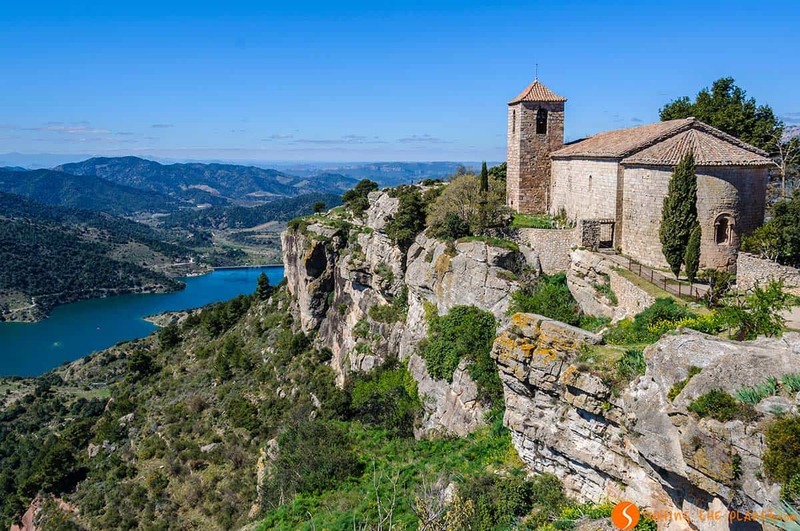 The panoramic views with the small church in the foreground, the green color of Siurana Reservoir and the open valley with huge rocky walls are simply unforgettable, or at least I will never forget the moment when I saw that for the first time. In Siurana you can also visit a small Arabian castle, which was the last to be occupied back during the Reconquista in Catalonia. The villages in the Province of Lérida might always considered less than the touristic villages in Girona and Tarragona, nevertheless this province hides some interesting surprises to explore. 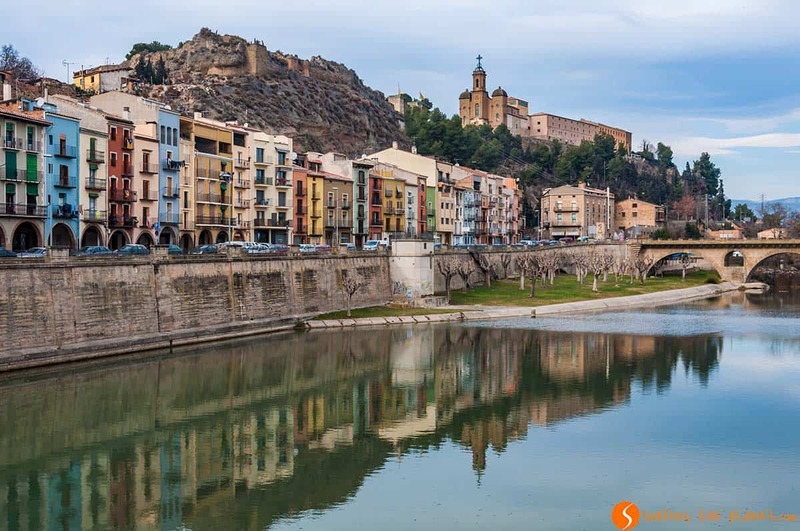 Balaguer, is clearly divided into two parts by the Segre River, and in fact, the major attraction is the fantastic panorama of the reflection of the old town in the river, while you take a stroll on the river bank. It’s also worth checking out Plaza del Mercadal, a small square with porticoes, and you should also climb up to the gothic building of the Santa Maria Collegiate. Besalú is a dreamy place, a village that seems to come out of a fairy tale. Not surprising then that it’s one of the most touristic medieval villages in Catalonia. 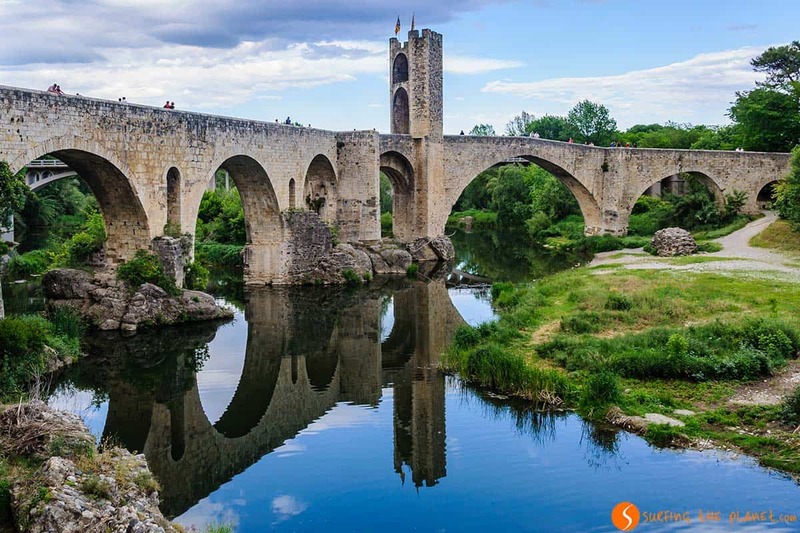 Even before entering the village, you will have the chance to appreciate its beauty; you only need to stare at the monumental stone bridge that takes you to the medieval settlement of Besalú. We also recommend you to go down to the river bank to admire the mirror image of the bridge. If you plan to visit Besalú, we strongly advise to go on a weekday, but if you go on the weekend, you should go early in the morning or around sunset, when the large tourists groups have already left. How to get there by public transport: direct bus from Barcelona operated by Moventis. Pals can be found close to the coast, therefore the visit to it can be nicely combined with an excursion to the Costa Brava. 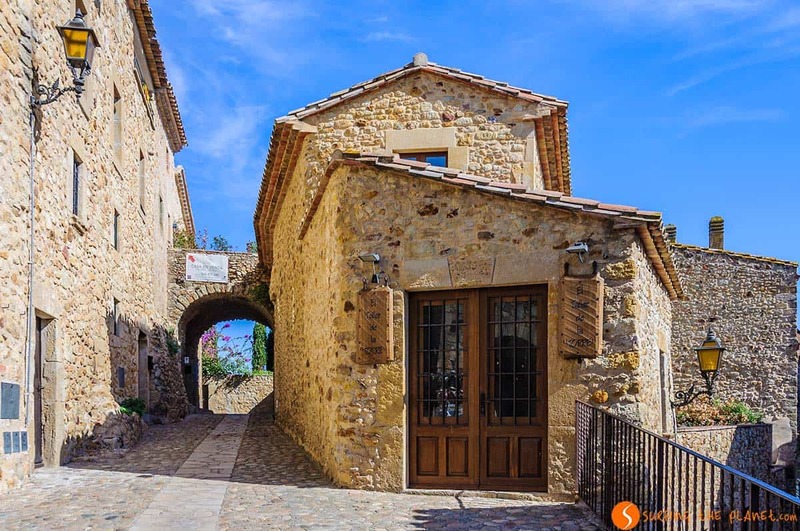 It’s one of those villages situated really close to Barcelona, and its historic center with cobbled streets and medieval houses are so perfectly conserved that this will make you time-travel to the Middle Ages. Pals is so picture perfect that it has become one of the most touristic villages in Catalonia (full of gift shops), therefore it’s recommended to go there from Monday to Friday. 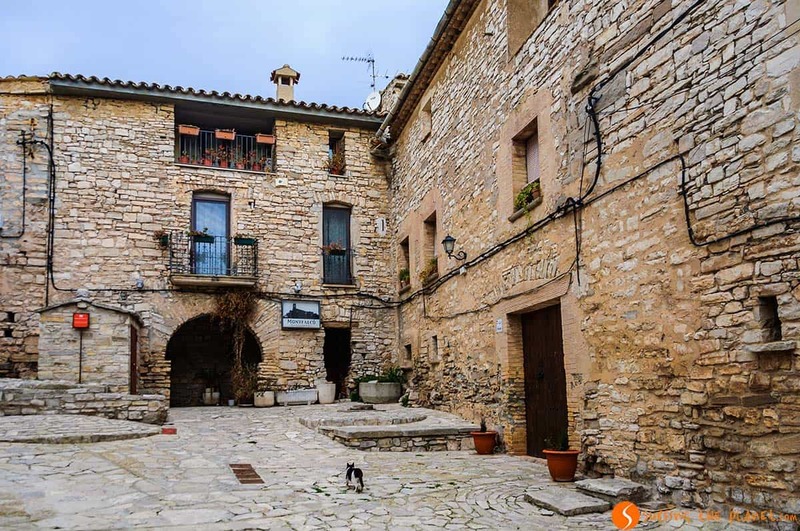 We can simply call Peratallada the little and lesser-known brother of Pals, since this beautiful medieval Catalan village situated close to its more famous and touristic neighbour, are quite less visited. 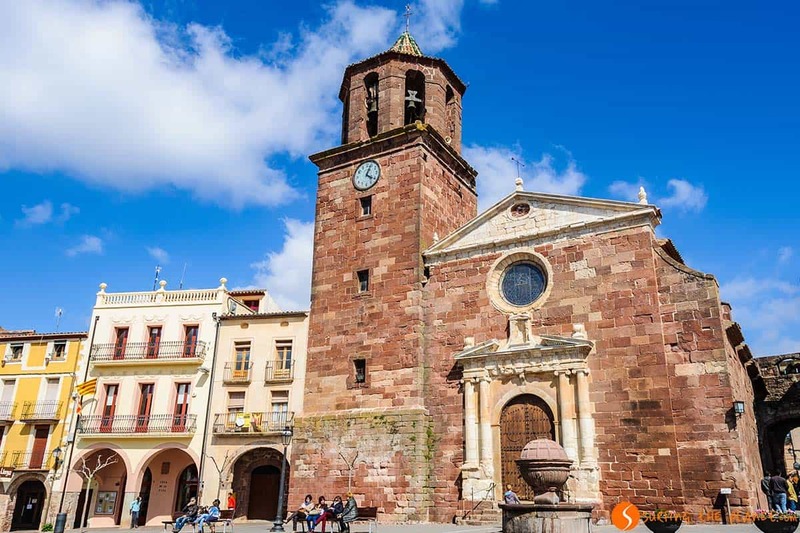 Nevertheless, if you visit the Ampurdán Region, don’t miss out on this cute village with narrow streets, charming squares, churches and a tiny castle. The village is enclosed by medieval walls and it has nicely kept its original, dreamy look. 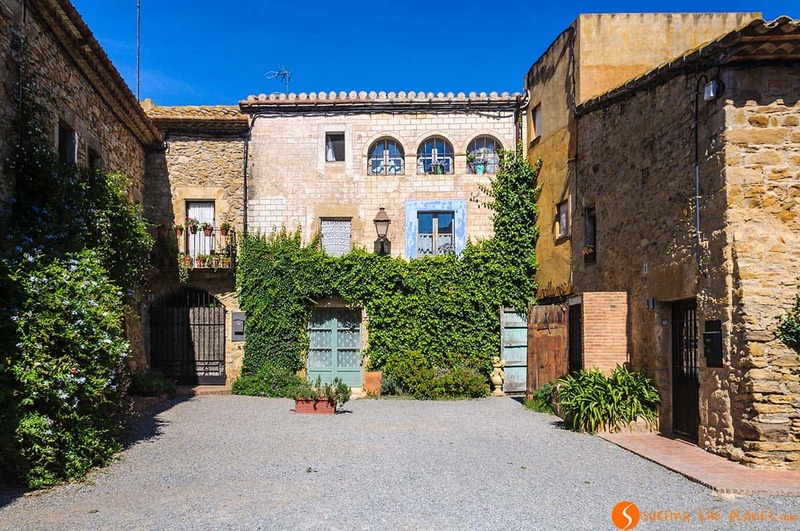 Visiting Peratallada and Pals together is a perfect day trip from Barcelona. 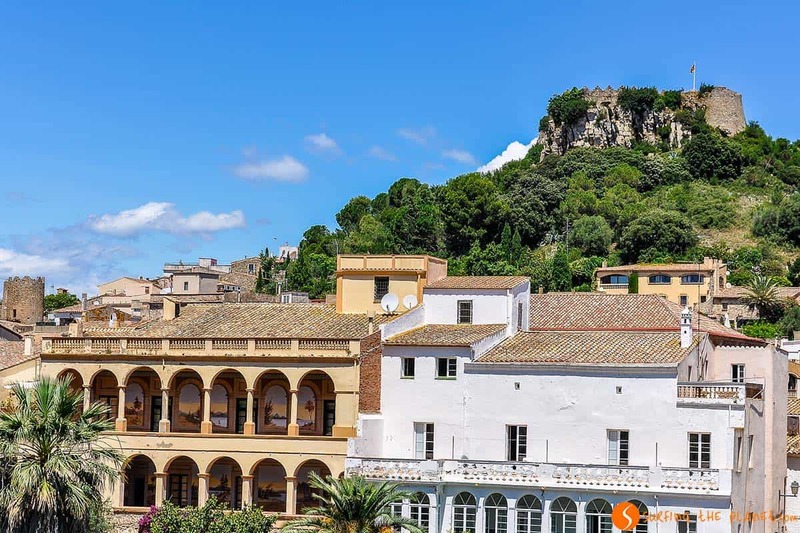 Amongst the villages near Barcelona, few transmit such a strong colonial atmosphere as the wonderful hilltop village of Begur on the Costa Brava. Apart from visiting some of the greatest beaches in the Costa Brava, it’s worth dedicating some time to exploring the village presided by a small fortress on the hilltop. Strolling between the typical white houses of Begur, you will see that many of them were built by adventurers who came back to Begur after getting rich in the colonies, especially in Cuba. The houses built in this era are called “Indian houses” (Casas Indianas), and a festival in September is held every year to remember this heritage of Begur. 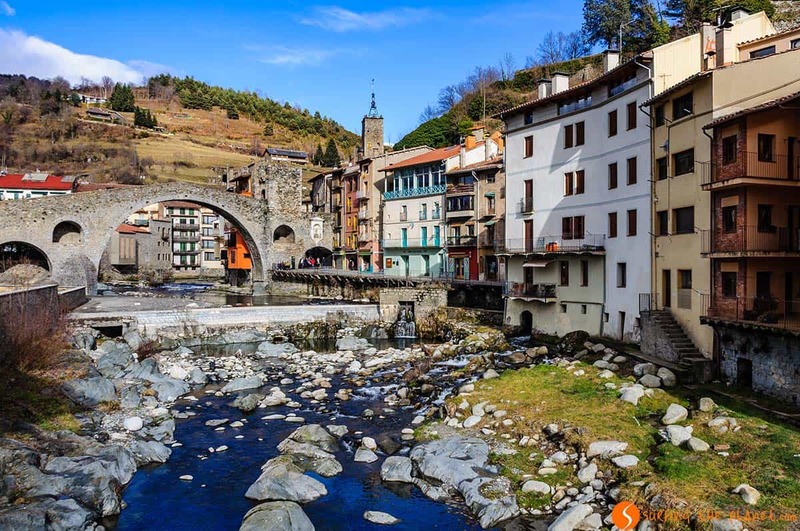 In one of the many valleys in the Pyrenees, you will find Camprodón, a magical place, photographed mostly because of its magnificent stone bridge built on the Ter River. 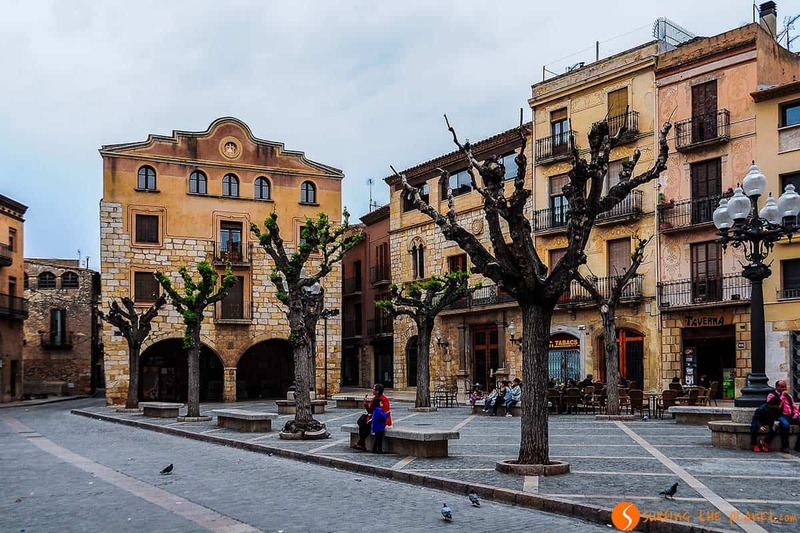 This medieval village in Catalonia with rich architectural patrimony is also known for being the birthplace of Isaac Albéniz, the famous Spanish composer, and there’s a museum dedicated to the master. One of the most charming villages in the Catalonian Costa Brava is Calella de Palafrugell (don’t confuse it with Calella much closer to Barcelona). We talk about one of the old fishermen’s villages that in spite of the tourism was able to keep its charm and relative tranquillity. In this colorful village the major attractions are the vaulted porches that were originally used by fishermen and nowadays are occupied by people having a drink or enjoying a meal in one of the restaurants while gazing at the sea. Monells is the least touristic of the triumvirate of the Ampordán villages, since much less tourists frequent it than Pals or even Peratallada. Nevertheless, Monells is probably our favourite medieval village in this part of Catalonia. In winter it seems to be an abandoned village, but when the sun starts to heat up the air in spring, the charming medieval square of Plaza de Jaume I immediately becomes full of locals and excursionists. The village is surrounded by arcades on one side, and narrow streets on the other side. Every time we stroll on these streets, this village fills us with energy, you can’t miss it. There are places that seem unreal at first sight. 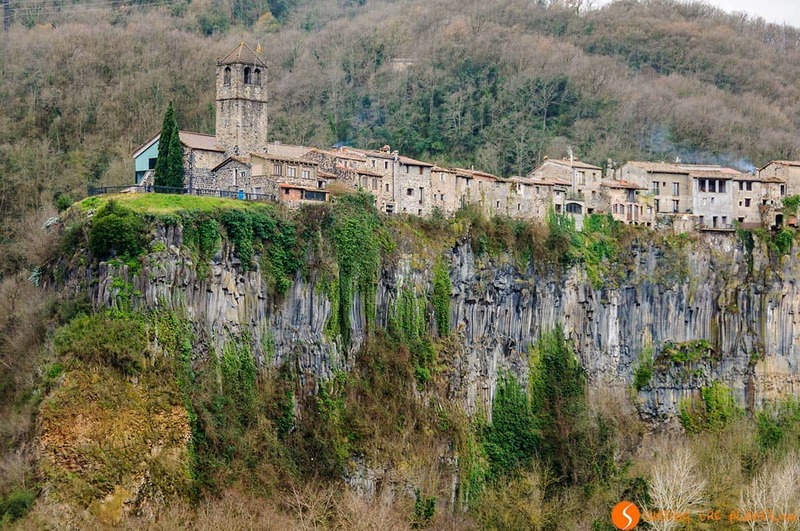 Looking at the small village of Castellfollit de la Roca, situated on the top of a 50 m tall impressive basalt wall, will definitely leave you breathless. Two rivers (the Toronell and the Fluvià) eroded the mountain formed by lava currents to form this enormous vertical wall. It’s also worth entering the village to explore its beauties such as the San Salvador Church that presides the views. Famous for its medieval festival, the walled village of Montblanc can’t be missing either from our list of the most beautiful villages near Barcelona. Closed between impressive medieval walls, walking in its streets you will feel yourself in the Middle Ages. During the Medieval Week celebrated around 23rd April, people put on costumes typical of that remote era and create a real medieval spectacle. The jewel of the Osona Region, the village of Rupit i Pruit (many people simply refer to it as Rupit) is found little more than a 100 km from the Catalan capital. It’s a place that transports any visitors to a distant era in time, but because of being one of the most wonderful villages close to Barcelona, it’s another place that becomes full of tourists every Sunday. We recommend you to visit this beautiful medieval village on any other day of the week, when you get to enjoy the tranquillity of its cobbled streets, the beautiful church and the castle. It’s also worth doing the short trail to the Salto de Sallent, a nice and tall waterfall in the area. 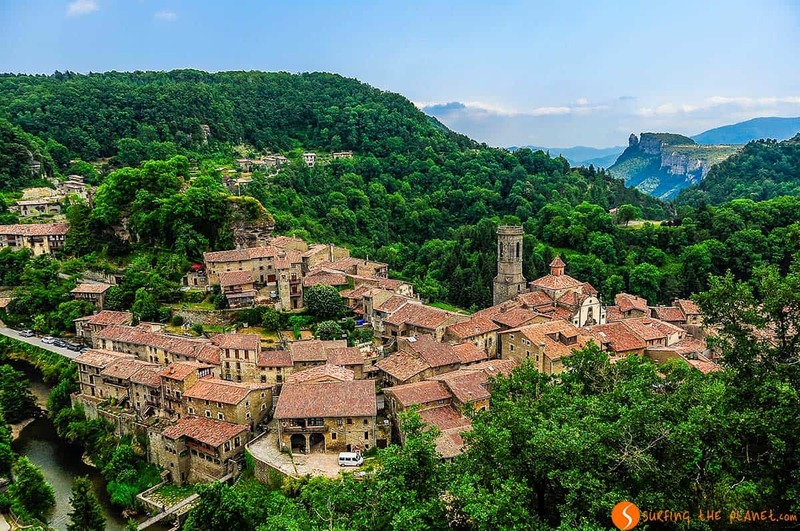 Much less famous than Rupit i Pruit, Tavertet is another charming village in the Osona Region. In the village itself there are just a few streets and some nice stone buildings, but the main attraction is the location of the village itself, situated on top of a cliff. You can take a short walk to a viewpoint from where you can enjoy fascinating views of the Sau Reservoir and the surrounding mountains. If you please, you can visit Rupit and Tavertet together on a nice day trip from Barcelona. Little known even amongst those who traveled some in Catalonia, but Montfalcó Murallat is one of the best conserved medieval villages in Catalonia. It’s a tiny little village between stone walls, where only a few inhabitants live in a real medieval scenery. The village is located on top of a hill, and when you enter the gates, you will think that you stepped into the middle of a fairy tale. 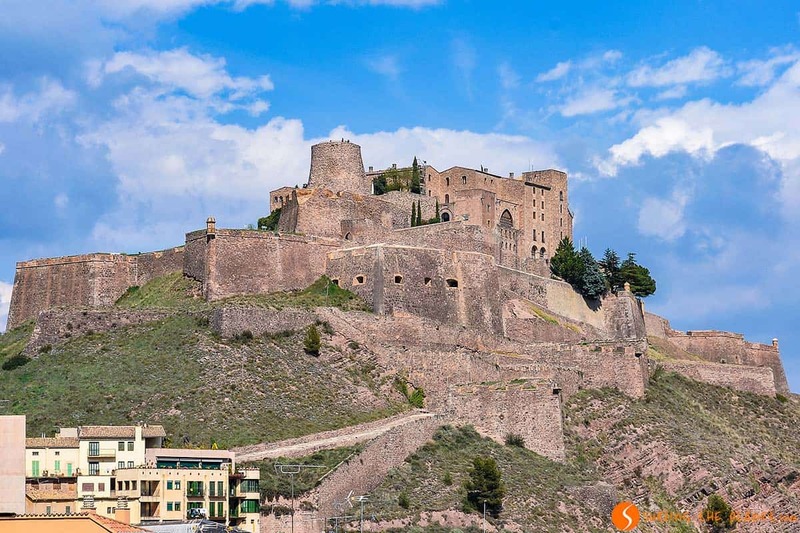 If there’s one village near Barcelona that we recommend because of basically one building, it’s definitely Cardona, since on top of a hill you will find here the largest medieval fortification in Catalonia, the impressive Cardona Castle. It contains elements from both the Romanesque and Gothic periods, the castle has an unbeatable location and nowadays it has a boutique hotel in its interior. It’s a perfect place if you want to sleep in a medieval dream castle. How to get there by public transport: Renfe suburban train to Blanes and bus from Blanes train station to Tossa de Mar. Tossa de Mar is one of the most charming coastal villages in Catalonia, and in addition, it’s located very close to Barcelona. 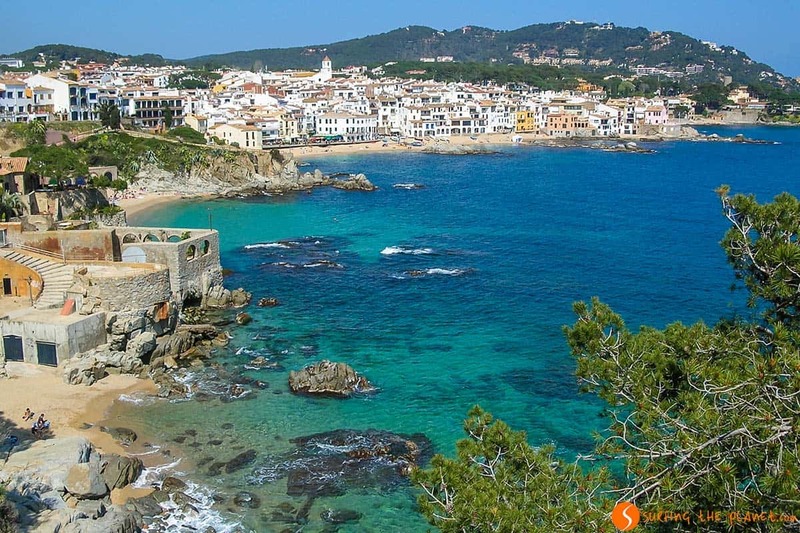 The castle in front of the beach presides the views of this beautiful village, one of the symbols of the Costa Brava. 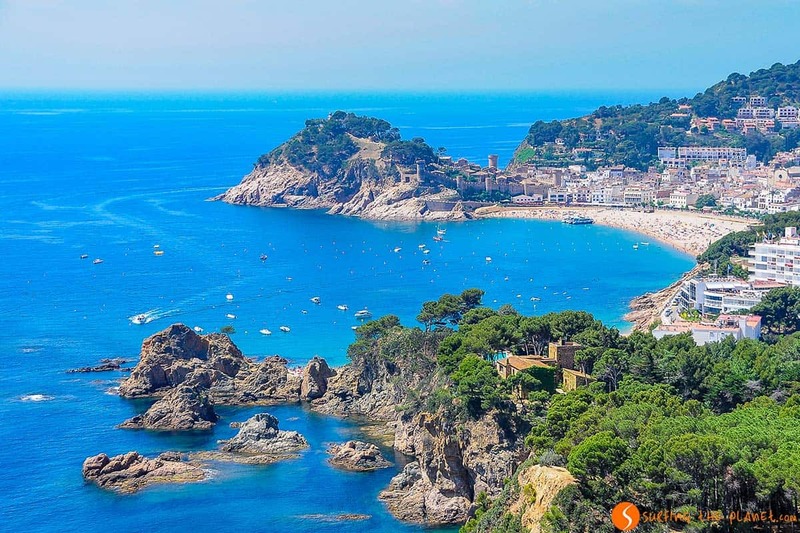 It has nothing to do with the party atmosphere of the neighbouring Lloret de Mar, Tossa de Mar is a calm place even in summer. It’s fantastic to have a stroll on the beach or climb up to the fortified old town. How to get there by public transport: although this nice village is situated very close to Barcelona, the access is not easy by public transport. You can travel to Manresa by train and take a bus from there to Mura. This is one of our most recent discoveries, although Mura is one of the closest medievales villages to Barcelona. It’s found in the Sant Llorenc del Munt i l’Obac Natural Park, and it’s quite far from the usual tourist itineraries. It’s another place where time seem to have stopped or at least it moves very slowly. The medieval center is very well conserved and you will found a lot of picturesque places to take romantic pictures. 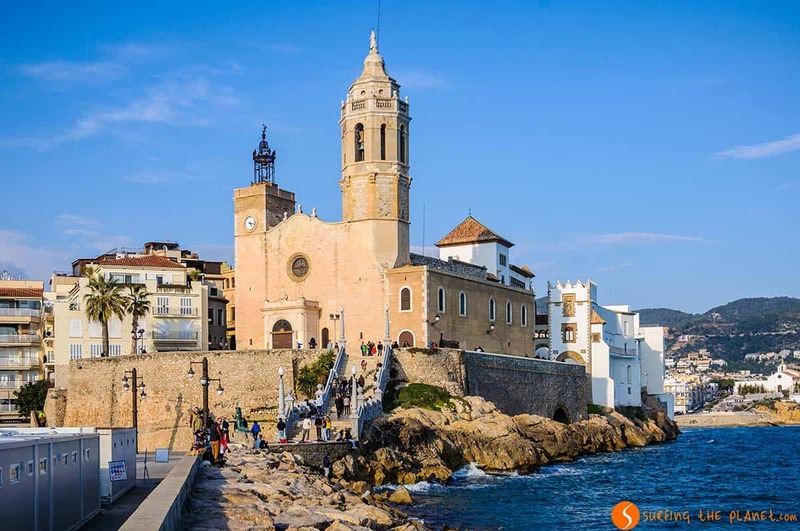 We end our route around the most charming villages in Catalonia in Sitges that can be the most easily visited from Barcelona. Once it was a calm medieval maritime villa with important modernist architectural patrimony. Nowadays this village, more like a small town now is a very busy place in summer and it’s full of cultural events every year. The Saint Bartomeu Church presides the views of the maritime promenade, where you will find some of the nicest urban beaches in Catalonia. Sitges shows a very different face depending on whether you go their on a workday in Winter, when it seems to be a calm village or you visit on a summer weekend, when it’s noisy with tourists from all over the world. Amongst the annual events, the Sitges Carnival is one of the most famous carnivals in Spain, but many people attend the International Festival of Cinema, too. 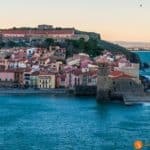 Just like any other selections, this list with the 25 most beautiful villages near Barcelona is also subjective and personal. Did we leave out one of your favorite villages in Catalonia? Share it with us and our readers! In any case, we hope that we gave you 25 good reasons for a good day trip from Barcelona. – BRUM BRUM… RENT A CHEAP CAR FOR YOUR TRIP AROUND CATALONIA – find the best car for you.